A World at School has identified and is highlighting a very specific and critical problem -- the loss of education services to children in and after emergencies. Young people, who are already too often not in school at all or not able to continue their educations as they would like, for a variety of reasons, are hit hard when disaster strikes, and those who were in school lose access to the educations they were pursuing. We at American Jewish World Service [AJWS] have learned in our decades of experience responding to international crises of all types - wars, hurricanes, tsunamis, earthquakes, epidemics, ethnic cleansing, displacement -- that people who are vulnerable to oppression before a crisis strikes will be exponentially oppressed after the crisis hits. Those already at the margins of a society are increasingly left out and denied their basic human rights during times of crisis. In conflict or disaster situations we see the right to education as an issue deeply connected to other rights, all of which must be respected. And the ways to do that are not always obvious or easy. For example, it is not enough just to put a school in a refugee camp and assume children and young adults will be able to get an education. A young girl living in a refugee camp may never be able to go to school even if the school is 500 feet away from where she is living in the camp. Her parents may not allow her to walk that 500 feet because they fear she may be sexually assaulted or harassed when she walks to and from school. Her parents may not have money to pay for books or school supplies in the camp because they don't have access to employment. 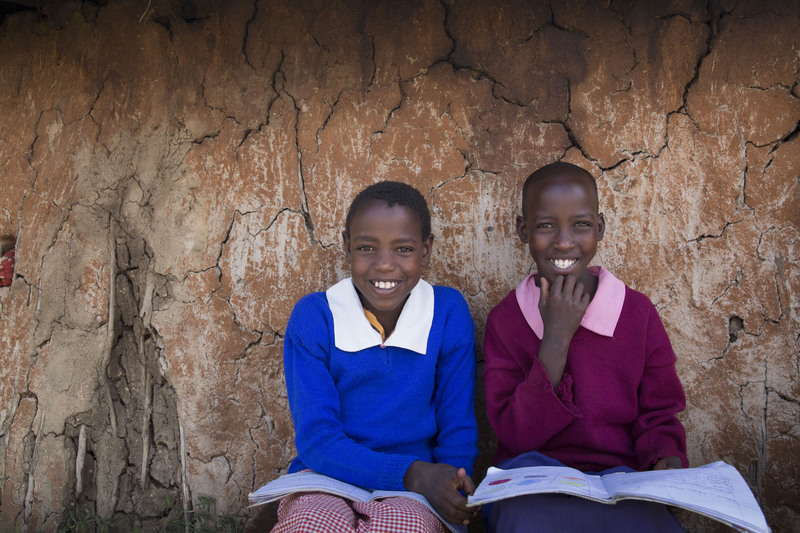 If her parents can pay for books and school fees, her brother may be prioritized to go to school before she can if the family can only afford to send one child. Even if all of these barriers are overcome, school in the camp may not be a safe place for this young girl because the teacher and the curriculum may reinforce harmful gender stereotypes that limit her aspirations for a life beyond the refugee camp. During the height of the Ebola crisis in West Africa, the governments of Liberia, Sierra Leone and Guinea closed all schools and universities. In Liberia, schools remained closed for more than 7 months (from July 2014 until the start of the new school year in mid-February 2015). Schools were closed even longer in Sierra Leone (from July 2014 until April 2015) and Guinea (from March 2014 to January 2015). The closure of schools dealt a particularly huge blow to the education systems in Liberia and Guinea, which were still rebuilding educational infrastructure that had been severely eroded after many years of civil conflict and instability. An assessment released at that time (in February 2015) by the Liberian Ministry of Education, UNICEF and Save the Children on the impacts of Ebola on education in Liberia found that during the closure, 60% of surveyed schools reported damage to classrooms and latrines, primarily because of disuse and lack of maintenance of facilities. The education systems of all three countries were majorly impacted by the fact that 16,000 children were reported to have lost one or both parents (source: UNICEF, Feb 2015). While the vast majority of these children continued to be cared for by their extended families, a number of related factors caused Ebola to detrimentally impact attendance rates at all levels of education. For one, many families that lost breadwinners could not afford to pay school fees, tuition and other school - related costs for their children. Economic pressures within poorer households also compelled many children to leave their schools and earn wages to help financially support their families. Girls have been particularly disadvantaged by these economic pressures, as their enrollment and attendance rates were often lower than those of boys even prior to Ebola. This and other examples remind us what we know already -- that the plight and needs of young people in the aftermath of emergencies must be seen as critical. In other words, we need not only to address the availability of schools in disaster situations, but also the barriers to accessing those schools. Every child has the right to be educated. Every child also has the right to live free from violence and gender based discrimination. We must look at education -- and access to education -- in this holistic way. And in times of crisis when both local and foreign governments and international relief and development organisations may be focusing their attention and resources on safety, food, health care and housing, voices need to be raised about the particular plight and needs of children and young adults. Ruth W. Messinger is president of American Jewish World Service (AJWS), the world's leading Jewish organisation working to end poverty and realise human rights in the developing world. Ruth came to AJWS in 1998, after a 20-year career in public service in New York City. As a leading activist for human rights around the globe, Ruth lectures widely and holds leadership roles in the faith-based advocacy arena. She currently sits on the State Department's Religion and Foreign Policy Working Group and co-chairs the Sub-Working Group on Social Justice. Ruth has been honored by many national Jewish organisations and has been named on lists of the world's most influential Jews and religious leaders by The Jewish Daily Forward, The Jerusalem Post and The Huffington Post.